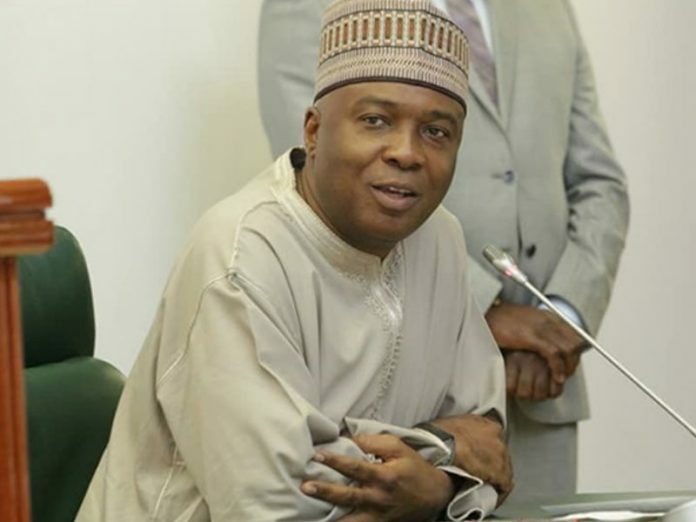 The Senate President, Dr Bukola Saraki, has called on the Government of Qatar to end its visa restriction on Nigerians. The Senate President, who led a National Assembly delegation to the 140th General Assembly of the Inter-Parliamentary Union (IPU) taking place in Doha, lamented that the visa ban is negatively affecting Nigerians as it prevents them from visiting the Middle East nation. “This restriction is not good for both countries and I urge you to reconsider your position on that. The world needs to see the good things you are doing here and lifting your visa ban on Nigerians will encourage more people to come here and enjoy your beautiful country,” he said. While calling for more collaboration between the two countries, especially at the parliamentary level, Saraki lauded the leadership resilience of the Qatari government. “In the area of sports, we need to do more together. Nigeria is a sport loving country. We have talented people in various parts of the world, including Qatar, doing great things in sports. If we collaborate, we will be able to develop that sector too,” he said. Responding, Al-Thani promised to look into the visa restriction and ensure that it is resolved within the shortest time possible. Earlier, Saraki held a bilateral meeting with the Speaker of the Parliament of Kenya, Mr Kenneth Lusaka, where both leaders called for more collaboration between the parliaments of the two countries.